What to do about bullying? 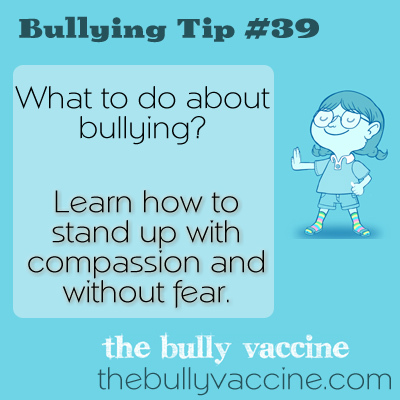 Learn how to stand up with compassion and without fear. A bully wants you to be afraid of them. If you refuse to be afraid because you feel compassion for them instead, they will leave you alone.